Why Is My Dog Sick After Boarding? Are The Kennel To Blame? If your dog tends to vomit, have diarrhea, or encounter some other type of problem after being boarded, you’re no doubt upset. How could this happen? Did something happen with their food? The first thing you might think of doing is blaming the kennel, but are they really to blame? Let’s look at some of the reasons why your pooch may be sick after boarding. You might be surprised. One of the more common illnesses that strike dogs when they’re boarded is diarrhea. Your vet can give you some idea of why it might have happened to your pooch, and maybe someone at the kennel could shed some light on the problem. But you might not ever get to the bottom of the issue unless you do a little digging on your own. These are just a few of the typical culprits when it comes to a dog coming down with diarrhea after boarding. Most pet parents will carefully ration their dog’s food and make sure they bring it to the kennel when boarding their pet. But many people either don’t have the time to do this, or it just slips their mind. As a result, their dog will be given food provided by the kennel. Even if the stay was just a few days, a change in food can do a number on a dog’s digestive tract, leading to diarrhea, or making your pup vomit. 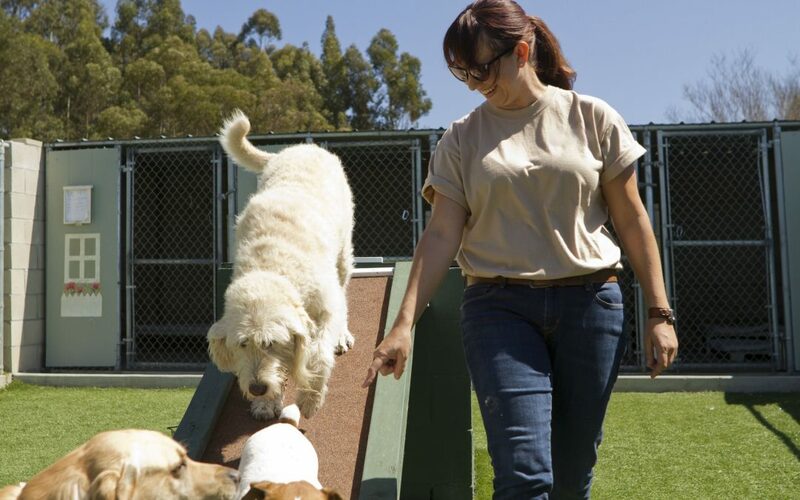 The vast majority of kennels are safe, healthy, and loving places for dogs. All pets being boarded are checked for proper vaccinations, and the facilities are thoroughly cleaned many times each day. Unfortunately, illnesses can still be spread from one pet to another, despite precautions being taken.3 Talk to your vet to see if your dog might have picked something up during their most recent stay. 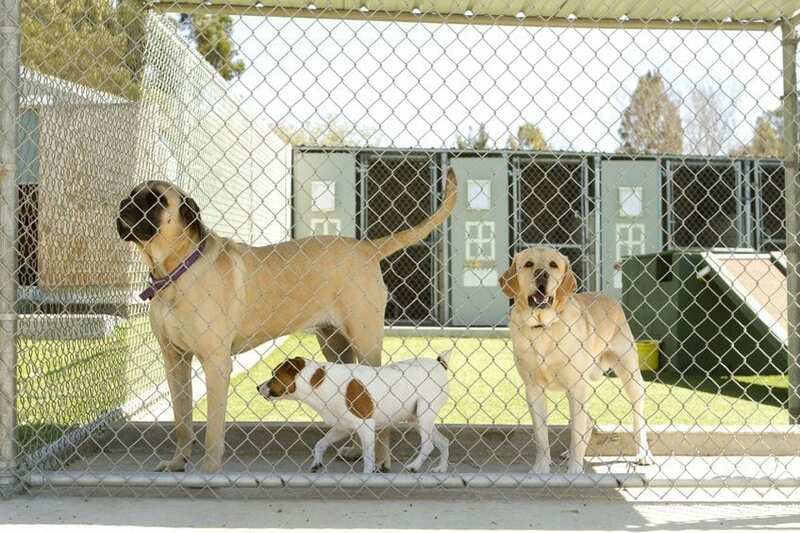 The next time you board your pet, don’t be afraid to check out the kennel beforehand. Make sure you’re happy with the quality of care your dog will receive. Talk to your vet, or speak with friends and relatives who have boarded their dogs, to see which ones they recommend. Checking to make sure the kennel facilities are clean and well organized. Making sure the boarding facility uses thorough disinfection procedures. Checking the outside of the facility, to make sure it’s secure, with gates and fences. You want to be certain the boarding facility is secure, so your pet won’t escape. If your dog likes to climb or dig, let the operator of the kennel know, so they can take extra precautions. All sleeping quarters should be clear of any potential hazards. These include chemicals, sharp objects, and any loose items that your dog could swallow. They also need to be separated by secure dividers, so that your dog can sleep peacefully without worrying about rowdy neighbors. By taking a few precautions you can help ensure that your pet will be completely fine the next time they’re boarded. Decide whether you will bring their food to the kennel. Check out the kennel thoroughly. Ask for references from your vet or friends, too, to find the right place to board your pup.